Knoxville is primed and ready to host your next event. Our location is ideal, our facilities are outstanding and our team is passionate about providing the best experience possible. Culver is a Chattan ooga native with a Bachelor’s Degree in Sports Management from The University of Tennessee. He has over 15 years of experience in the sports industry in recruiting and managing events. 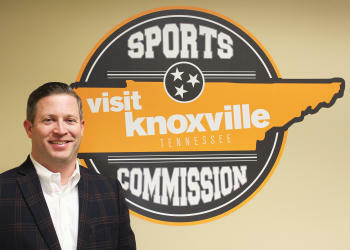 Prior to Visit Knoxville, Culver was employed by Kingsport Convention and Visitors Bureau where he served as Director of Sports Marketing. Culver also served on staff with the University of Tennessee Athletics Department from 2001-2005. Medley is a Naples, FL native with a Bachelor’s and Master’s degree in Sports Management from Florida State University. During his tenure at the university he worked in the Athletic Marketing and Promotions Department as well as with the Florida State Women’s Basketball team. 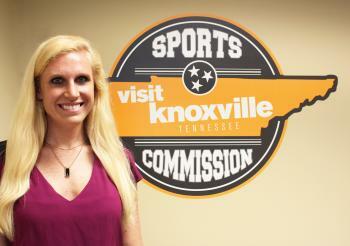 Prior to joining Visit Knoxville, Medley was the Sports Marketing Manager for the Naples, Marco Island, Everglades Convention and Visitors Bureau. As Director of Partnership & Event Services, Ryman is directly responsible for managing the services for all sports, competition and athletic related events. She also works to enhance the efforts of all Visit Knoxville departments by expanding and strengthening the base of partnership support and relations. Ryman attended Carson-Newman University on a varsity volleyball scholarship and was named First Team All Conference. She received BAs in both Mass Communication (dual emphasis in Journalism & Advertising/PR) and Applied Psychology. Ryman is still very active in volleyball, playing doubles and triples outdoor tournaments throughout the spring, summer and fall. As Senior Manager of Housing, Simcox handles all reservation and hotel needs for sporting events and tournaments. 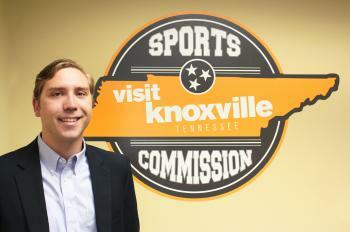 Simcox is a Knoxville native with a Bachelor’s Degree in Communication Studies from the University of Tennessee. 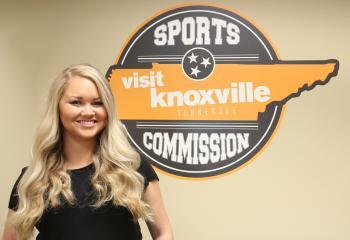 During her time as a Vol, she worked in Athletic Event Management, Sports Broadcasting, and was a Spring Sports Ambassador. Prior to joining the Visit Knoxville team, Simcox managed the travel and hotel services for USA Baseball national teams and tournament events. She also handled groups, meetings, and incentive travel for World Travel Service, Inc. here in Knoxville.